AARRC hosts socialization events to welcome new families into the community and unite Sunni and Shia community members. Friendships flourish and allow newly arrived refugees and more established refugees to establish support networks. Activities include hikes, picnics, ice skating, bowling, and visits to local museums, including the Phoenix Art Museum, Science Museum. Holiday Potluck: AARRC hosted a holiday potluck at the community center to celebrate the holidays with friends. Community Picnic: In February, AARRC hosted a community picnic at Anthem Park to celebrate the new year and welcome new families. Over 150 community members attended and brought food and conversation. Families enjoyed taking a train ride around the park, fishing in the nearby lake, playing soccer badminton and backgammon. 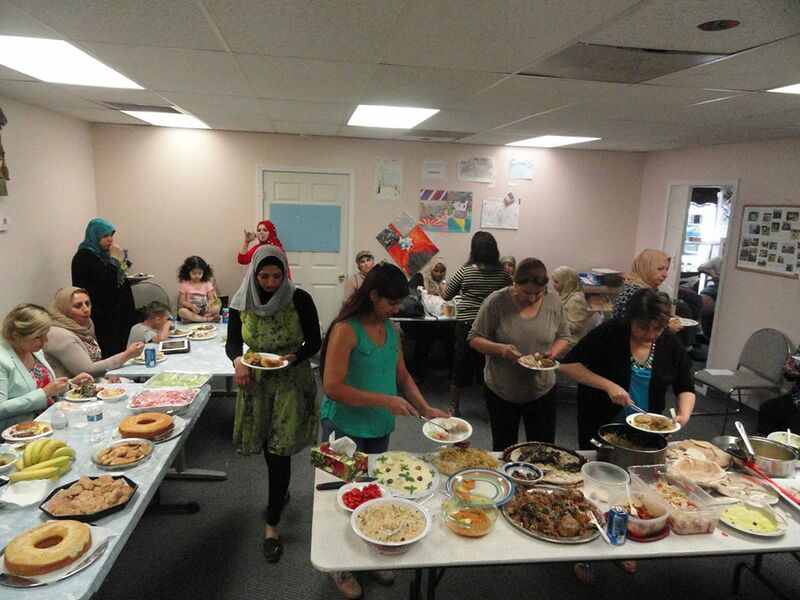 Women’s Iftar: To commemorate the end of Ramadan, AARRC partnered with AMWA to present a Women’s Iftar celebration. AARRC staff and AMWA volunteers prepared and served meals for the women’s group and facilitated children’s activities.